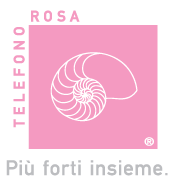 The Telefono Rosa was founded in February 1988 as a temporary instrument to carry out research aimed at bringing out, through the direct voice of women, “submerged” violence within the home. Violence against women can be described as very democratic, as it affects educated and non-educated women, young and old at any social level. It manifests itself within those institutions considered reassuring as the family, the school, the workplace: this alarming fact is immediately detected by the Telefono Rosa. Information is what is most lacking in women and in fact immediately legal advice was offered, because the knowledge of their fundamental human and civil rights, and the existing means of restoring them, if they are violated, is the essential condition to exit from a situation of overwhelm and prevarication. At the same time we realized how important it was for the woman to be welcomed and supported psychologically, so the association immediately offered psychological counseling as a fundamental tool for help and support. Economic advice has always been of great importance to warn women, since economic violence is often linked to physical and psychological violence. To date, more than seven hundred and fifteen thousand women have turned to Telefono Rosa, both by phone and by coming to the association. Ninety-two volunteers, including lawyers and psychologists, were established in 1990 as a National Association of Volunteers of Telefono Rosa Onlus. – Listening and Hospitality: The contact center of “Telefono Rosa” is available every day, H24. It meets the volunteers, all experienced in listening and women victims of violence. – Free Legal Advice: civil and criminal. – Legal assistance: In severe cases the Association, on the advice of its Board, is established in the Civil Part of femicide and stalking processes. – Psychological counseling: the team of professionals provides a free consultation service. – Self-help groups: Each group is coordinated by a psychologist or psychotherapist. It is composed of women who have had an experience of violence. – Support of the assistants to the Family Law: The Assistants to the Family Law, duly prepared by a course funded by the European Union, are able to support women, who turn to the Association, in all practices of voluntary jurisdiction. – Stalking door: for women victims of stalking the Telefono Rosa offers information and legal and psychological assistance. intended to voluntary on the phenomenon of gender violence, lasting three months each. The issue of violence is treated both from the psychological and legal point of view. training for social and health personnel in the reception of women victims of violence at the Hospital of the Lazio Region. courses of in-training and prevention of the phenomenon of violence at some schools on the Italian territory. From 2017 the E-LOVE platform was created for distance learning. To date, 620 users have registered. November 25 for the “International Day against violence against women” Telefono Rosa organizes the annual International Conference: “Women is a thread that unites different worlds and cultures” with guests of national and international importance to discuss with students the role women in the third millennium. Launch of the contest video “a commercial for the Telefono Rosa” with the goal to inspire students on issues of violence in all its forms. March 8 “International Women’s Day Annual” award at the Capitol, the winners of the contest video “a commercial for the Telefono Rosa” part of the “Women: a thread that unites different worlds and cultures”. Since 2004, the Association manages, on behalf of the City of Rome, the “International House of Human Rights of Women”, reception center for foreign and Italian women, victims of acidification, infibulation, physical and psychological violence. In 2013, manages, on behalf of the Metropolitan City Roma Capitale, the host Provincial Center “La Ginestra”. With each of the women guests promises an individual project that may accompany them and support them in the difficult path to take to get out of a violent situation and to regain their autonomy. Since the cycle of violence does not involve only women, but also their children one of the objectives is to teach them to learn about the wealth of equality in gender diversity and to experience relationships based on mutual respect. – Social Secretariat: women can take advantage of tutoring by volunteers: in search of free professional courses, in the eventual contact with public and private agencies and with local services that predispose them and the inscription in the course itself. Since December 2012, the Association manages the Anti-Violence and Stalking number “1522”, number of public utility promoted by the Presidency of the Council of Ministers – Department for Equal Opportunities, which offers a multilingual telephone reception service, active 24 hours on 24, 365 days a year, to the victims of all forms of violence. Over the years, they have turned to “Telefono Rosa” more than seven hundred thousand women. Specifically, there have been many women who went on site to receive legal advice civil and criminal and psychological support. The active and empathetic listening as well as information about their rights have allowed users to start a path of escape from violence, regaining decision making for their lives and that of their children. A path that in most cases has led them towards autonomy. Women who are hosted at the homes are followed not only during the stay but also after leaving the center. This allows the Association to evaluate temporal trends in the individual path of women. We emphasize that only in 2017, three women housed at shelters managed by the Association, after the attendance of courses both Italian and professional, have found a job and rented an apartment to live with their children. Fundamental to this end, are the social secretariat activities and mentoring in job seeking: for each user are evaluated, through listening, personal inclinations and aptitudes, skills and educational knowledge and education acquired and to be acquired, identification and clarification of any unmet needs that can make women more aware and autonomous in their choices. In particular, the operators dedicated to mentoring in job seeking flanked by the users in the preparation of a curriculum vitae, addressing them and preparing them to know present in the most appropriate way to a job interview and directing them towards the holding of free courses and vocational training. Women are supported in the search for these courses, thanks to several memoranda of understanding established by “Telefono Rosa” with organizations which aim to train and professionalize the Italian and foreign citizens. Telefono Rosa has concluded protocols with “IL FARO” Foundation, with the ACLI and ENAIP, with “SARGASSI” to allow the insertion in professional courses that allow women to participate in internships and practical apprenticeships in the companies. As part of the network formed in Lazio it was decided to draw up protocols of collaboration with the Pediatric Hospital of the Infant Jesus, the Fatebenefratelli Hospital, Policlinico Casilino, the Palestrina’s Hospital and University of the studies of Tor Vergata Faculty of Gynecology, with the Rome police and with the ASL Roma B. Through the years and the continuous professional development the team of lawyers and the team of psychologists have achieved a high degree of specialization in relation to the problems and critical issuesof the family relationship and have developed a real methodology in dealing with both legal and psychological phenomenon of violence. The team of lawyers is composed of 12 elements, 6 civil and 6 criminal lawyers all recorded at legal aid; The team of psychologists is comprised of 10 elements with various specializations including the systemic relational one. The National Association of Volunteers of the Telefono Rosa – onlus- since December 2012 operates the number Anti-Violence and Stalking 1522, number of public utility promoted by the Presidency of the Council of Ministers – Department for Equal Opportunities, which offers a multilingual telephone reception service, active 24 hours on 24 for 365 days a year, aimed at victims of all forms of violence. This management has allowed the Association to build and carry forward profitable and continuous relations with the Department of Equal Opportunities – Presidency of the Council of Ministers. – Since 2004, on behalf of the Municipality of Rome, the International House of Human Rights of Women, reception center for foreign and Italian women, victims of acidification, infibulation, physical and psychological violence. Since 2013, on behalf of the Lazio Region, the Center for reception and social assistance for women in difficulty La Ginestra. The management of the shelter Homes proved to be very important in order to build a collaborative and synergistic relationship with the Municipalities, with the Municipalities, with the relevant social workers, with the representatives of the Courts, as well as with the First Aid and the Hospitals. Thanks to these collaborations, the association has managed to organize meetings, seminars, conferences, training activities and specific projects together with the above services.